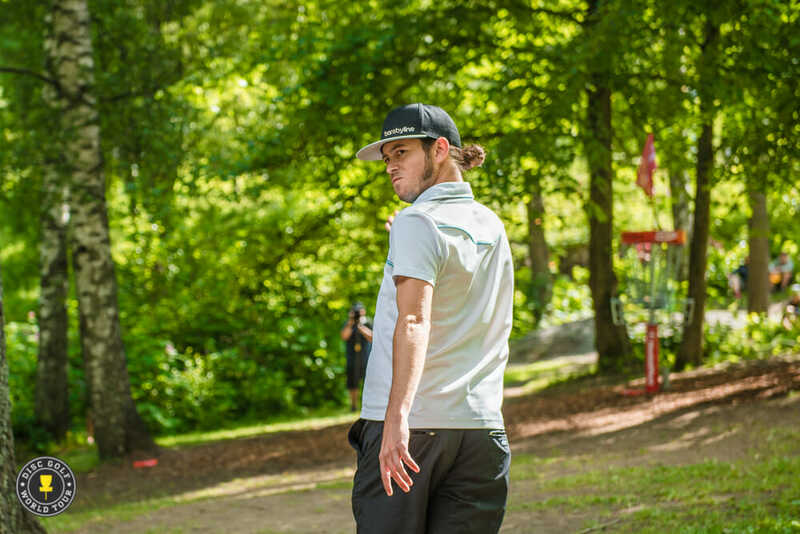 Simon Lizotte’s European Open journey has been one marked by continued ascent. He landed in a tie for seventh place after Thursday’s first round, then followed that with a move to third place after day two. Now, after a round three performance in which he chased down five of the six shots Gregg Barsby held as a cushion, Lizotte simply needs one last push to the top of the mountain. Lizotte’s 11-under par 53 yesterday at The Beast brought him to a 26-under par 166 total, a single shot behind Barsby, whose 5-under par 59 was enough to keep him in the lead with a 27-under par 165 through 54 holes. Nate Doss fired off a 12-under par 52 for the day’s hot round, a feat that moved him even with Paul McBeth, who slipped on the scoreboard after a 9-under par 55. The third place pair currently sit with 25-under par 167s. Lizotte said after round two that he intended to apply Moving Day pressure to Barsby, and the German pro delivered on that promise from the jump. Though Barsby connected on an outside the circle putt for birdie to open play, Lizotte countered with a birdie of his own, then followed with another on hole 2 after taking a wide hyzer over the OB fence that borders the hole’s right side. And while that result was impressive, it paled in comparison to hole 3, where Lizotte notched one of the field’s two eagles on the day. That fortunate mistake brought Lizotte to 4-under through three holes, but he quickly gave it back with a bogey on hole 4. He then parred 5, but said he wasn’t worried about the slow spell, and it showed: Lizotte took five straight birdies from holes 6 through 10, but Barsby also got hot through The Beast’s wooded section as he took four in a row. Barsby, though, slowed down on the back nine, while Lizotte remained locked in, sprinkling in three bullseye hits and coming out under par through holes 16, 17, and 18. In rounds one and two, Lizotte had scored 2-over and 1-over in the same span. That’s a mantra that will be especially significant to McBeth, who was at 11-under before closing out the round bogey-bogey to fall into his current third place standing. On a day when he said everything was finally coming together, that finish left a sour taste. As is Doss, who went both penalty-free and bogey-free on the way to his 1072-rated hot round. 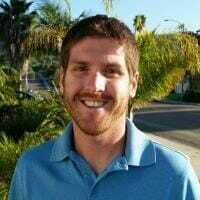 Despite numerous top 5 finishes the past five seasons, the three-time PDGA World Champion has not taken home a Major title since his 2011 World Championship. Outside of McBeth, though, Doss holds the most winning experience on today’s lead card, as neither Barsby nor Lizotte have notched a Major victory. Moving Day also brought plenty of other action on the leaderboard. Eagle McMahon climbed up one spot and into sole possession of fifth place with a 9-under par 55, while Paul Ulibarri and Devan Owens tossed 8-under par 56s and now share sixth place with Väinö Mäkelä at 19-under par 173 overall. Dave Feldberg, Teemu Nissinen, and K.J. Nybo are all knotted up in ninth place with 18-under par 174s. Not everyone will have an opportunity to improve on their scores, though, as the field was cut to 74 after round three. Austin Turner was the highest rated player to miss that mark and will head home in a tie for 83rd place after a 9-over par 201 total. Even as Lizotte was well aware that he could be 18 holes away from a career-altering victory, he wasn’t going to lose any sleep over his prospects. 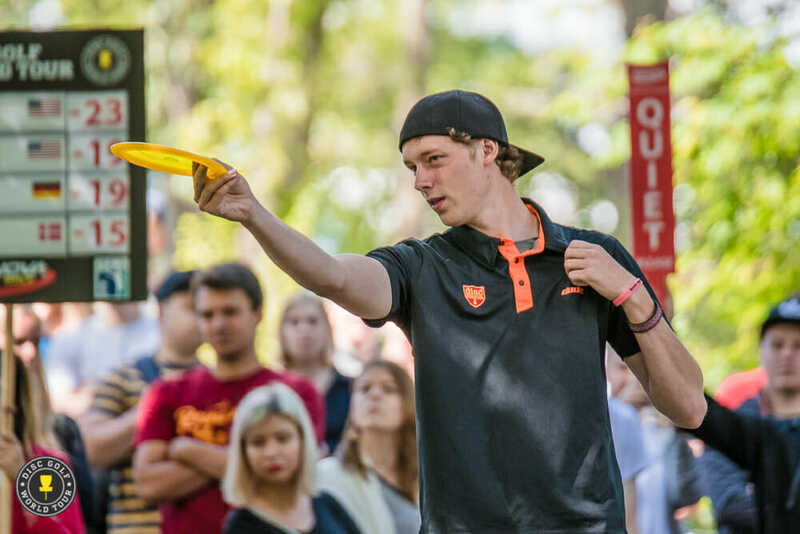 But if that game is going well, and a gallery that Disc Golf World Tour Director Jussi Meresmaa ballparked at 2,500 people had its collective gaze aimed his way, Lizotte allowed that he might not be able to play it so cool. Lizotte and the rest of the lead card clock in at 1:00 p.m. local time, with live scoring and updates available on the Disc Golf World Tour’s website and social media outlets. Comments on "Lizotte Closes The Gap As Barsby Takes Slim Margin Into European Open Final"